Lesley Griffiths AM meets with Vaughn Rawson, Managing Director of Rawson Digital. A fast-growing copier firm that’s aiming to create an extra 10 jobs has been hailed by an Assembly Member as a role model for those wanting to replicate their success. Vaughn Rawson, Managing Director, welcomed Wrexham AM Lesley Griffiths, to his firm’s main base on Wrexham Industrial Estate to celebrate the company’s fifth anniversary. He set up Rawson Digital in the back bedroom of his Gresford home when the wider UK economy had only just started to emerge from a global meltdown. He now leads a team of 15, creating three of those jobs in the last three months. The firm is currently expanding to take over the full Bridge Business Centre unit it occupies on Wrexham Industrial Estate and earlier in 2017, it opened a second sales office in Dinorwic Marina, Y Felinheli near Bangor, Gwynedd. 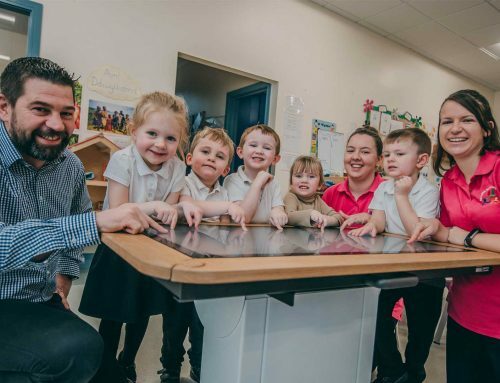 Vaughn has already set his sights on the next five years when he is aiming to double his turnover to £4m, create 10 new jobs and have an extra 1,500 Rawson Digital machines out in businesses across the UK. Lesley Griffiths AM, who is also the Welsh Government Cabinet Secretary for Energy, Planning and Rural Affairs, said she was delighted to visit a ‘homegrown’ firm that had evolved in a relatively short space of time into a company employing 15 people. 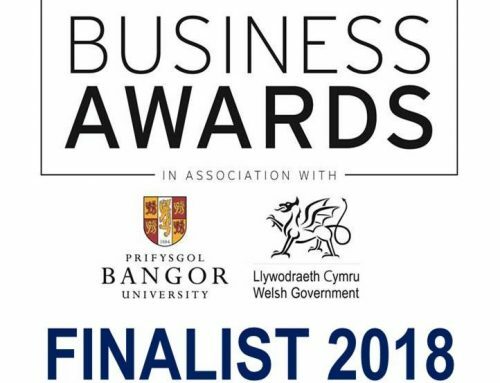 She was also impressed to hear that a further 10 jobs were on the horizon over the next few years to cope with the company’s expanding work load, including more Welsh speakers to better service the firm’s growing client base across the North-West Wales region. She said: “The jobs Rawson Digital are creating are well paid jobs in a successfully growing company and that’s great news for Wrexham. 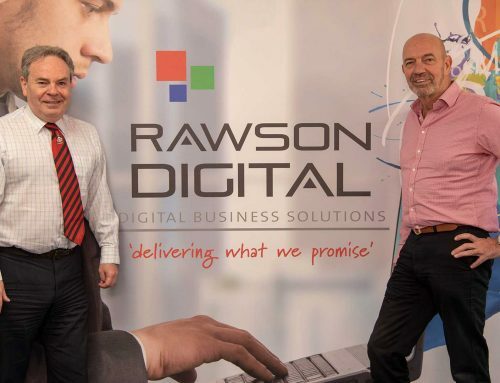 “I look forward to seeing Rawson Digital’s continued expansion and I’ll be watching the company’s progress in the coming years with interest. There is little doubt in my mind that this is a progressive and forward thinking company that will continue to exceed expectations. 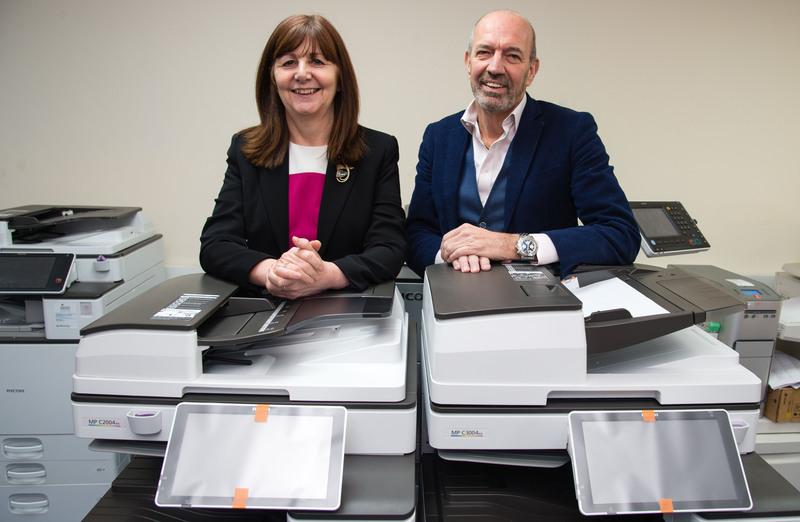 The Wales Fast Growth 50 firm supplies and maintains photocopiers and printers to companies across North Wales and the North West. Clients include pharmaceutical giant Wockhardt UK, global software leaders Wolters Kluwer, aerospace design, manufacturing and engineering giants Triumph Group and the luxury hotel, golf course and spa Carden Park in Cheshire. Another recent feather in the firm’s cap was news it has been approved as an official supplier for industry giant Xerox alongside the Rioch and Lexmark products already being used by their varied clients. Vaughn said: “It has been a pleasure to welcome Lesley to our Wrexham office, especially at such a celebratory time for the company. “Last year was a terrific growth year for us. We opened a second sales office, doubled our turnover and took on and renewed contracts with a variety of high-profile companies. “At the end of last year, just before the company’s fifth anniversary, we also took on three new staff – a new sales manager, a sales trainee and a new service technician. 1,2,3: Lesley Griffiths AM is pictured with Vaughn Rawson, Managing Director of Rawson Digital.